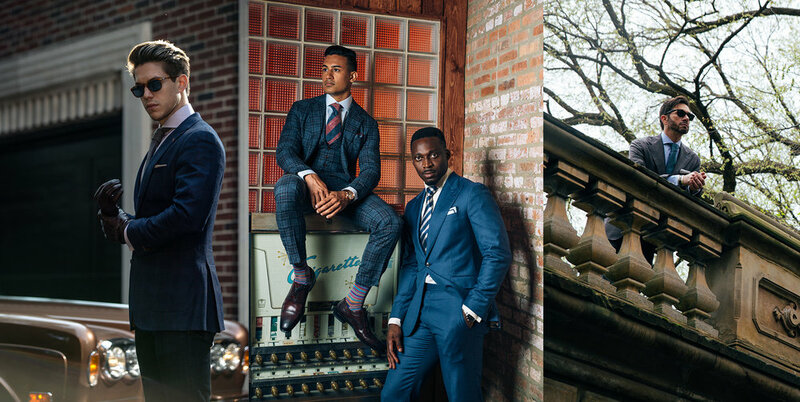 Experience Chicago's finest custom clothing at Daniel George. From fabric choices to styling details, your garment is guaranteed to be unique. Experience the Daniel George difference. We see clients by appointment on weekdays and Saturdays at the Daniel George Loop office. 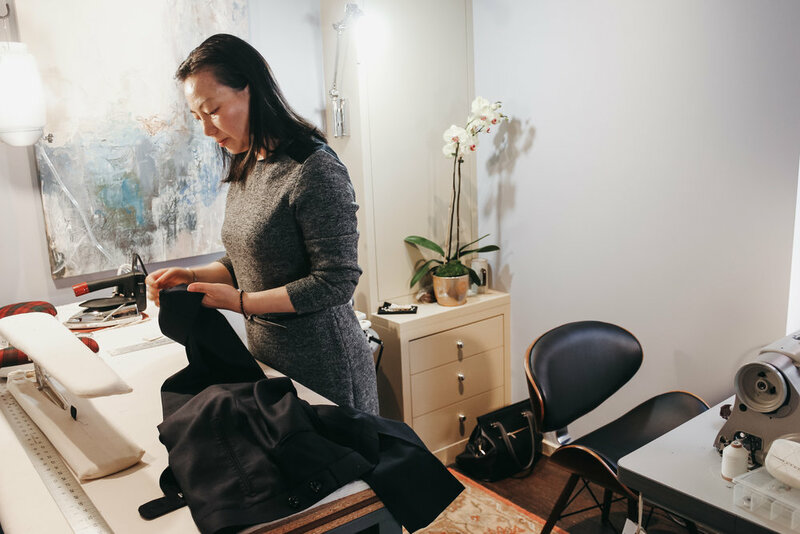 Relax in our downtown Chicago Loop location as we guide you through your personalized custom experience, offer fabric recommendations, and explain style details all while answering your important questions. You will preview actual client's finished garments and discover the best quality custom menswear in Chicago. Voted one of the best places to buy a tailored suit in chicago by cbs. 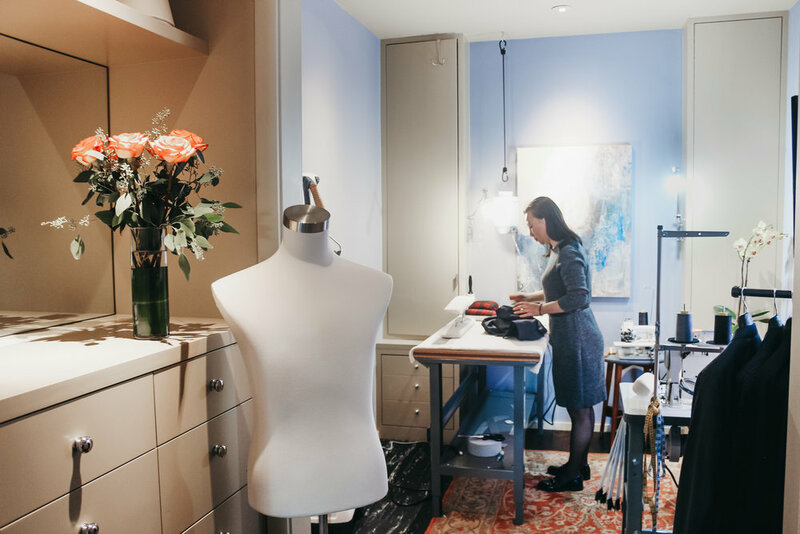 We have fully staffed, on-site tailor shops in both Daniel George showrooms, an imperative part of your custom experience. Jeanine and Amanda are our dynamic duo in Chicago, and Lily is the head-tailor in San Francisco. There will always be a tailor available at your fittings to take care of any necessary adjustments on your custom tailored garments. Pictured above in their respective tailor shops, feel free to pop in and say hi next time you’re here. Want to see the Daniel George difference in action? Click on Kenny to get a closer look at how your Daniel George garment will fit your body and your lifestyle. We make a beautiful garment and have fun while we’re at it… come have fun with us! Request an appointment to experience the difference for yourself. From distinctive cloths to interesting patterns, our garments look better than the rest. No more baggy shirts, sloppy shirt tails and so-called "slim fit." 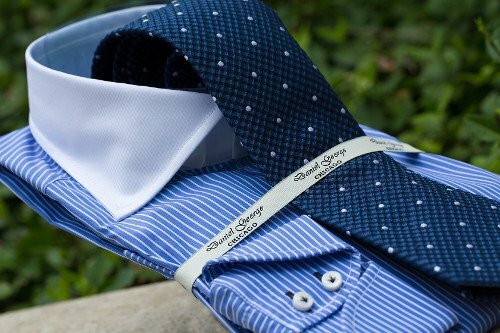 We'll provide you with custom made dress shirts designed and tailored for your individual frame. Why doesn't the groom get as much attention for his wedding attire as the bride for her dress? That's about to change as you both begin your next chapter. Our Wardrobe Packages contain custom clothing essentials and are offered at 15% off regular pricing. Let’s maximize your wardrobe by adding a NEW sports jacket, suit or something essential to coordinate with your current look. Find out how a Daniel George garment can elevate and improve your wardrobe. We offer interesting fabrics for spring and fall with different colors and looks to suit the more conservative types or those with wilder imaginations. Daniel George understands what each client is looking for and will always work to make you look and feel your best. It's Your Big Day Too! Want your wedding to be memorable? From the time you propose to the rehearsal dinner, aisle, celebration, and honeymoon, let Daniel George customize your look. Your bride won't be the only one getting compliments.